Ithaca, NY, September 26, 2017 - King salmon have been making a royal splash in New York state’s economy for decades, generating millions of dollars annually from anglers and for communities around Lake Ontario. 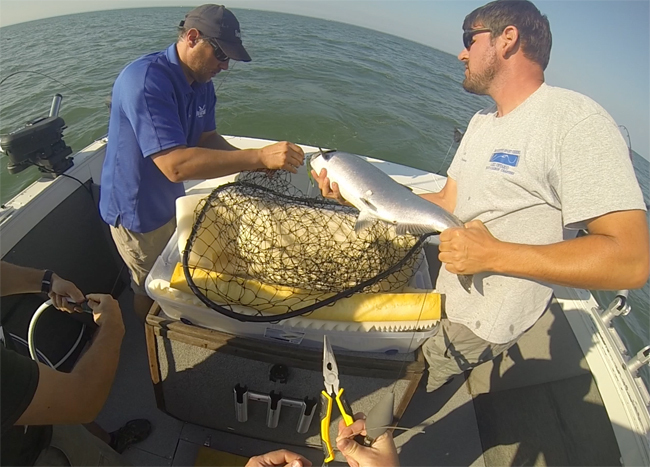 The salmon population in Lake Ontario has been thriving, yet across much of the Great Lakes, these valuable fish, also known as Chinook salmon, are in decline. 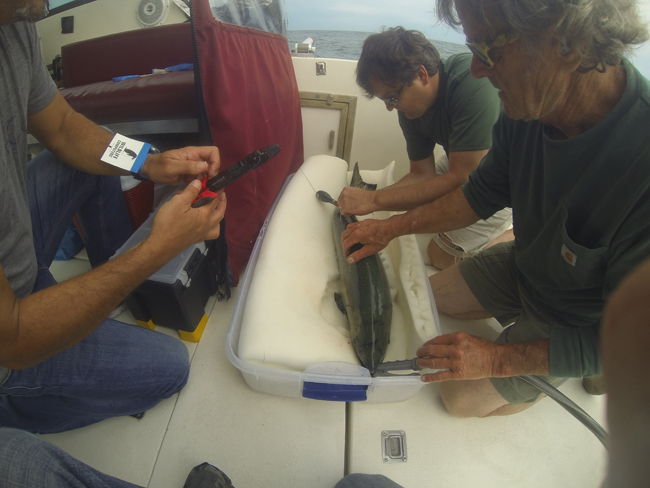 A satellite tag is attached to a Lake Ontario king salmon on a charter boat run by Fish Doctor Charters of Oswego. When these advanced tags sense a lack of vertical motion, they release off the fish and transmit data to a satellite after a pre-programmed period – 30, 60 and 90 days. The research is providing an unprecedented glimpse into the life of king salmon, allowing Cornell researchers to understand the behavior and movement of adult king salmon with more precision than ever possible before. 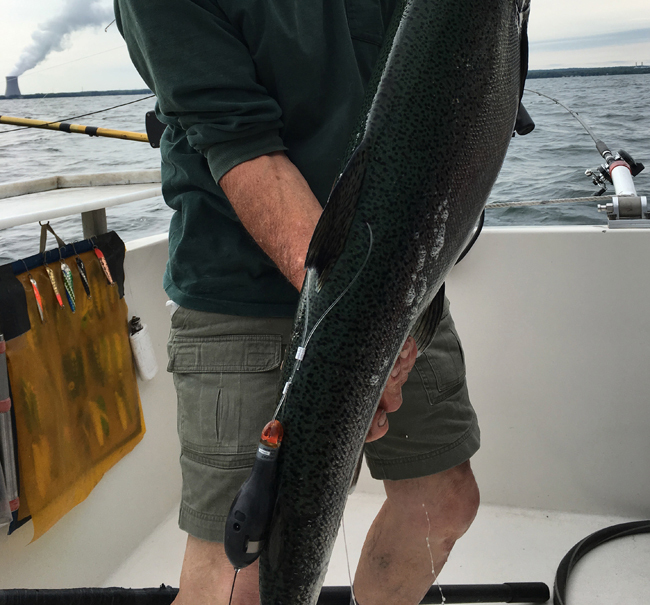 A Lake Ontario king salmon with a newly developed satellite tag.